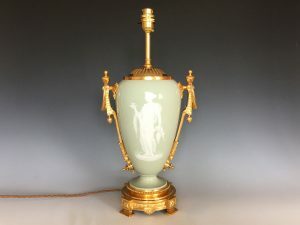 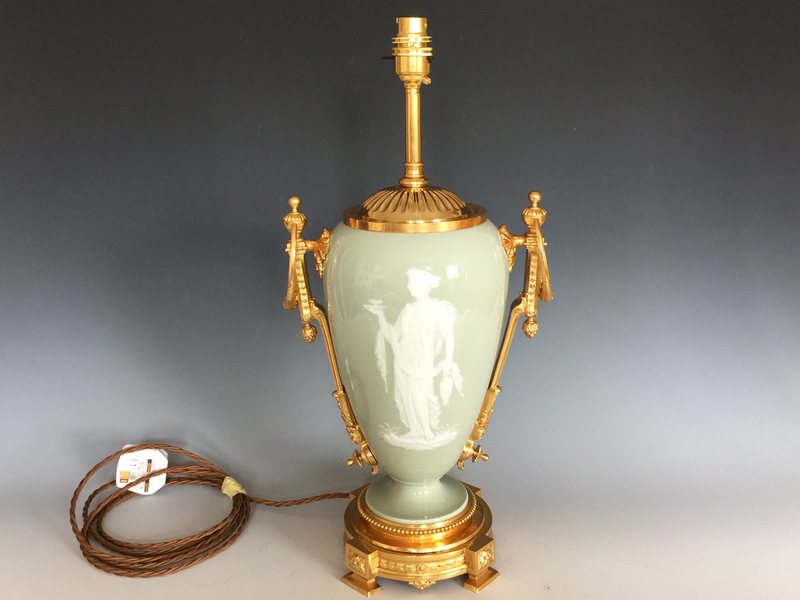 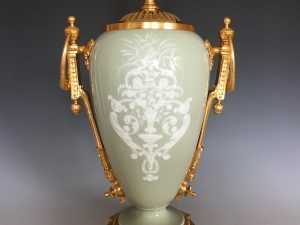 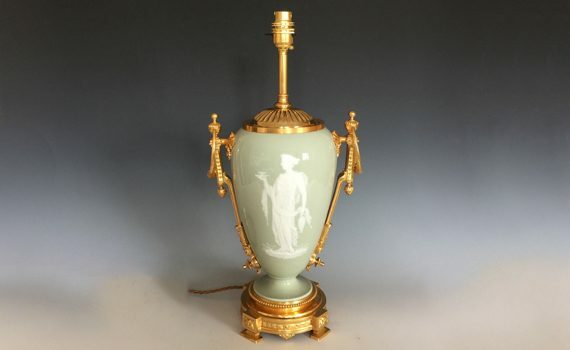 A late 19th century, French, pâte-sur-pâte lamp base. 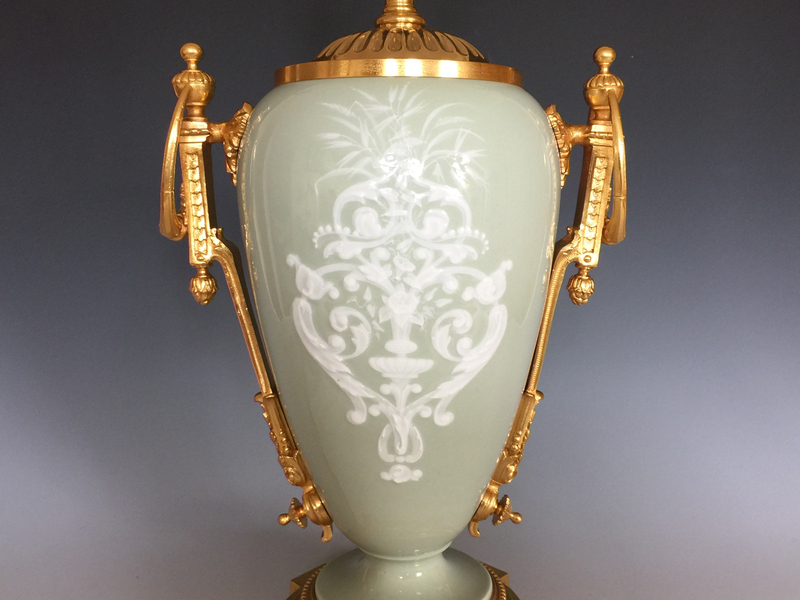 The celadon green ground with classically dressed Greek muse painted to the front, a floral panel to the reverse, with regilded ormolu enrichments. Re -wired and Pat tested.